At Dringhouses Primary School, all staff, pupils, parents and governors seek to promote the safe and sensible use of computers and devices respecting the wishes and the privacy of all school users. We want our pupils to be aware of what to do if they come across offensive material or any inappropriate content, and to understand how to take care of themselves in an ever developing world of technology. As a school, we strive to protect pupils from accessing inappropriate or offensive material whilst in school, ensuring that children are equipped with the knowledge they need to protect themselves from such material in other settings. E-safety is part of the computing curriculum for children from Reception to Year 6. Teachers dedicate time in computing sessions to equip children with the knowledge and skills to keep themselves safe online. 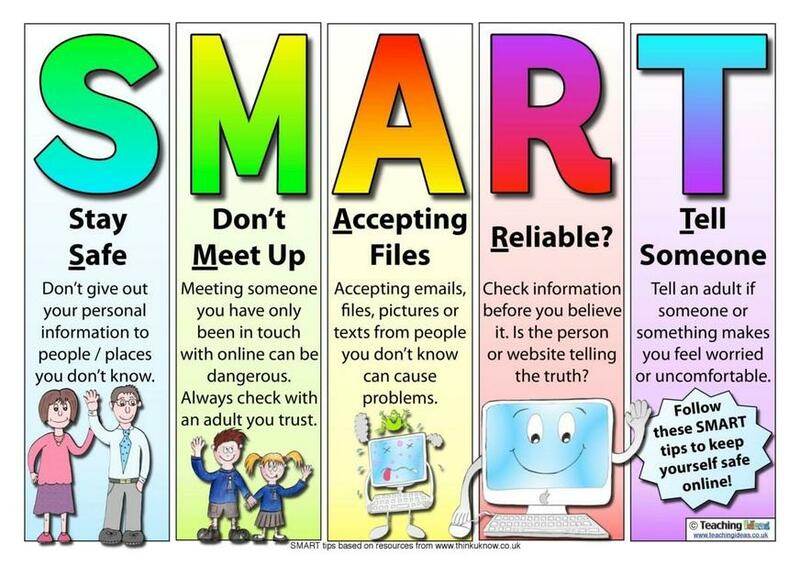 In KS1, E-safety is taught within computing and PSHE lessons throughout the year. In KS2 children will focus on E-safety for half a term during computing sessions and develop a piece of work around this. This year pupils are creating an E-safety blog using 2blog on Purple Mash; they are adding to their blog weekly providing more information and ideas about how to stay safe online. Look out for these later in the Spring term! We also take part in Safer Internet Day annually and dedicate time during the week of Safer Internet Day to talk to pupils about how to be confident and safe internet users. Every year our computing subject leader delivers an assembly to all children according to the national theme; in 2018 the theme was ‘Create, Connect and Share Respect: A better internet starts with you’. This year we will be thinking carefully about how to work collaboratively to make the internet a stimulating and secure platform for all of its users and will be doing work around the theme ‘Together for a better internet’. Children are all taught the steps to take if they find something they don’t like online and we promote them using child-friendly search engines such as ‘Kidrex’ which have extra filters to help prevent them coming across inappropriate content. We believe in equipping children to be responsible, resilient digital citizens who are able to use the internet as a positive tool and know how to process anything that makes them feel uncomfortable or unhappy. Check the settings on your child’s social media accounts and make sure they are set to ‘private’. Read the terms and conditions of sites and check they are age appropriate. Discuss your child’s accounts with them and make sure you know their passwords. Most sites have ‘tips for parents’ you can read in their help centre. We regularly hold E-safety meetings for parents which offer support and information about up to date websites, apps and games that children in school are accessing. If you need advice about keeping your children safe online there are many websites and places to go for information, see below for some useful parent guides and websites. If you have any further questions, please do not hesitate to get in contact with your child's class teacher or Miss Emily Robinson, our computing leader.